You already have a seat at the table! Your seat at the table of life is reserved and everyone sees you sitting there. Do you? You were born into this complex web of life and you are an intrinsic part of it. Whether you were adored, ignored or abused, you exist. Your body exists in physical space and you are an energetic presence that has palpable impact on all around you. Does that feel true to you? Perhaps it does and you wonder why it even needs to be said. But for many of us, especially women, there is a sense of waiting to be invited to have a seat at the table. This causes all kinds of misunderstandings. If you feel you do not have a seat at the table, then you speak and act from that belief, causing confusion and suffering all around. Imagine it: Everyone else sees you at the table, but all your thoughts, words and actions stem from the desire to be at the table. Since you are already there, your words and actions seem out of sync, oversensitive, obsequious, or as bad table manners because of the rude way you demand your right to be there. What? Wait a minute! How can this be true? Good question. We’ve been exploring in the past few posts what we accept as true and this is as good a place as any to question our own assumptions, as well as any new concepts presented. I have been exploring it in my own experience. I spent portions of my life feeling completely invisible. In fact there have been days when even my car seems to disappear and people drive as if I’m not there. They are startled when they almost crash into me, as if I appeared out of nowhere. That’s pretty invisible. I’m sure some of you reading this can relate to feeling invisible. Others might feel quite the reverse, as if you are too on view, stand out like a sore thumb, feel seen as an object rather than a person, feel misplaced or awkward. Either way we don’t feel a natural intrinsic part of the whole web of life, but overlooked and left out. I assumed that this not having a seat at the table was a challenge for my generation of women and those before mine. But sadly my younger students are still struggling with it. They are powerful but don’t see their power. They are at the table but are either still waiting to be invited to have a seat, or they have stormed the table and demanded to be seated. But everyone sees them as already there, part of the ongoing conversation of life, so why are they silently beseeching or so strident about their right to be there that everyone else feels threatened or at least uncomfortable? A woman with impressive credentials and a show-stopping resume may still be waiting to be invited. She feels she has earned her seat but is waiting for someone to pull it out for her, or at least nod at an empty space and encourage her to sit. But if people already see her as sitting at the table, why would they invite her to sit? In her mind she’s standing around waiting, and in their minds she’s just a lackluster or prickly participant in the table conversation of life. Decades ago when I was entering the corporate world, I read a book titled Games Mother Never Taught You. One sentence grabbed me and turned me around. It said something like “In business, women are playing gin rummy while men are playing poker.” A woman works hard to build up a ‘good hand’ — the right degrees, the right work experience, etc.– and expects that hand to win her the game, fair and square. But a man is willing to go for things he might not even be fully qualified to do, thinking, (as one of my students husband says) ‘How hard can it be?’ With sufficient bluff and swagger, he expects to win. (Whether he can do the job when he gets there is a whole other issue, but he’s up for the challenge.) This is a huge difference in mindset, isn’t it? Inspired by that book, I asked for a raise and got it. I exuded a book-inspired self-confidence that was valued for the position I held. I had no self-confidence, but hey, this was poker! The old ‘fake it til you make it’ advice. And it worked. 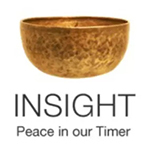 But this is a blog about meditation and insight, not a guide to corporate gamesmanship. So let’s see how this translates into the rest of life and why it matters. If we all have seats at the table of life, we are all powerful. It’s not something we have to acquire. We are empowered as cohabitants of this life, interconnected, collaborating together to bring forth our deepest, hopefully wisest, shared intentions. Our unwise intentions come from fear — the fear of not being seen, of not having a seat at the table. If we discount our power we may do unskillful things and think they have no consequences. Whose feelings could possibly get hurt by a nobody like me? What difference do my actions make? Or, conversely, deciding to do unskillful things to get the attention we crave. If we are not aware of our power we may be causing harm all around and not even know it. Can you see in your life where this plays out? Do you feel you have a seat at the table? If not, notice how your thoughts, words and actions seem to activate confusion and even negativity in others around you. With the practice of meditation and opening to the infinite lovingkindness of metta — May I be well. May I be at ease. May I be peaceful. May I be happy. — we can come to a clearer perspective of our natural place in the scheme of life. When we send metta out to all beings, and remember that throughout the world there are others sending metta out to all beings, we can come to recognize that hey, I am a being! I am one of those ‘all beings’. It’s not just that I have a right to be here. It’s that I am here. I have a seat at the table. I have power because I exist as an intrinsic part of the web of life. Everything I do affects that web and all life. So let me take responsibility for my power and use it wisely. After teaching this dharma talk on Thursday, I went late to the week-long intensive poetry class I’ve been taking, and guess what? There was no seat for me at the encircled tables, and no one stopped in the middle of class to invite me in. What an opportunity to see my thoughts that arose around that sense of feeling invisible! But then I realized, hey, I am a part of the class, so I pulled up a chair and people on either side smiled and made room for me. This entry was posted in empowerment, meditation, metta, power and gender, seat at the table on June 16, 2018 by Stephanie Noble.